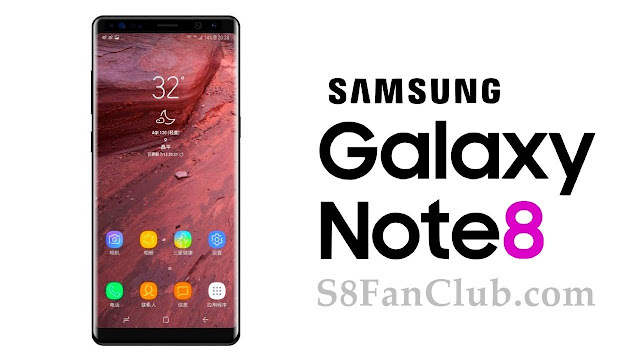 The Galaxy Note 8 has been launched today, and Samsung seems pretty hopeful about the sales of their latest Galaxy Note flagship of 2017 that is Galaxy Note 8. People / customers who already love the S Pen and bigger screen features, along with dual camera and stereo speakers. That’s a perfect combination packed with latest software features from Samsung. It is basically targeted for business class, who wants tech style with distinction. The name hasn’t changed. It is a Galaxy Note through and through, and it’s definitely the nicest one Samsung has ever made. Preorders begin tomorrow on all the major US carriers, and an unlocked model will be available at launch for the first time. The Note 8 will be released in stores on September 15th. Samsung’s comeback strategy hasn’t been as flippant as simply moving on and making another phone. In the aftermath of fires, customer injuries, and an avalanche of bad PR, the company has established a multi-point battery safety check, which is being used for the Note 8 just as it was for the Galaxy S8 released earlier this year. So far, the biggest complaints about the S8 have been about Bixby and some displays having a red tint. Batteries haven’t burst into flames or exploded, so the S8 can be considered a successful first half of a rebound. But to truly press on, Samsung needs the Note 8 launch to come and go smoothly — even if it doesn’t break sales records for the line. 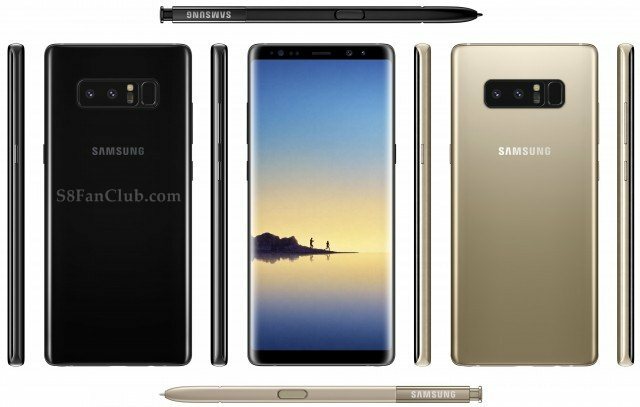 The leaked photos and specs for the Note 8 have been accurate; it leans heavily on the design of the Galaxy S8 Plus, but features a display that’s slightly larger (6.3 inches instead of 6.2 inches), corners that are more squared off, and less curvature to the front side edges. It’s still very much a curved screen, but you’ve got slightly more flat surface area to work with (and write on). The Note 8 is a bit heftier than the S8+ at 195 grams (0.43 pounds) versus 173 grams (0.38 pounds), and there was a noticeable in-hand difference to me because of that. Color options include black, gray, gold, and blue, although the latter two won’t be available in the United States. That’s a shame since the blue was my favorite of the four when previewing the phone. When talking about the Note 8’s hardware, Samsung makes a strange habit of comparing it to the two-year-old Galaxy Note 5 — as if the Note 7’s recall has fully extinguished it from history. The company says the S Pen has more levels of pressure sensitivity and is water-resistant this time around, but those things were also true of the stylus slotted inside last year’s phone. In reality, it’s basically the same S Pen. The Note itself has seen more worthwhile upgrades, though they’re all very predictable. It’s got a Snapdragon 835 processor, 64GB of storage (with microSD support), and 6GB of RAM. The battery is 3300mAh, so clearly Samsung is playing it safe for at least the Note 7’s direct successor. That bump in RAM — the S8 and S8 Plus have 4GB — and a barely-bigger screen are the main hardware differences between the Note 8 and Galaxy S8 when you’re looking at it from the front. It’s incredibly difficult to spot the display size difference with the two phones side by side, but there’s another big differentiator around back: a dual-lens camera. Samsung has equipped the Note 8 with two 12-megapixel cameras. The regular/wide-angle lens has an aperture of f/1.6, and the telephoto lens is f/2.4. But in what Samsung claims to be an industry first, both sensors offer optical image stabilization. (The iPhone 7 Plus’ zoom lens doesn’t have OIS, but the primary camera does.) That should allow the Note to utilize its telephoto camera more often instead of defaulting to the regular camera in low-light conditions, which is what the iPhone often does. With a dual-camera comes the plethora of new software modes you’d expect. Samsung has its own take on the portrait mode, which blurs the background behind your subject to mimic bokeh. You’re able to dial the effect up and down to your liking instead of being stuck with just on / off modes, which is nice. You also have the option of adding (or removing) it after a shot has already been taken. And a “Dual Capture” mode stitches together photos from both cameras and saves them individually, too. Unfortunately, the Note 8 retains the same awkward position for the fingerprint scanner as the Galaxy S8. It’s a little easier to feel and distinguish from the camera lens, but it’s still a stretch. The Note 8 ships with Android 7.1.1, and the overall software experience is basically identical to what’s on the Galaxy S8. Bixby has a big presence, and yes, there’s still a dedicated physical button for Samsung’s digital assistant. Samsung is also bringing DeX to the Note, so if you buy the required dock, you can plug it into a monitor for a desktop-like experience with a mouse and keyboard. One new thing is that you can now pair two apps in Apps Edge so that they’ll always launch together in split-screen mode. Other useful, small software features, like the ability to easily create GIFs from videos, are also here. And the overall look, feel, and fluidity remains leaps and bounds better than the old days of bad, ugly Samsung software. There are a few fresh S Pen tricks, though: you can now take up to 100 pages of notes in the Screen Off Memo mode, which activates when you pull out the S Pen with the display turned off. A new Live Messages feature is more or less a ripoff of Digital Touch in iMessage; you can handwrite a message or picture with the S Pen, send it to someone in a message, and it’ll play back animated just as you drew it. Live Messages are saved as GIFs, so they’re a bit easier to share across different apps and social media than Apple’s approach. Last, the Translate feature that was introduced on the Note 7 now lets you highlight entire sentences with the S Pen to instantly translate into 71 languages. 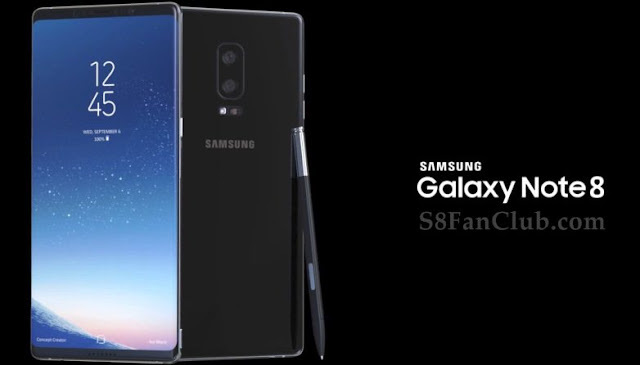 But the many similarities between the Note 8 and Galaxy S8 mean that this year, more than ever before, Samsung will be relying on the S Pen and the company’s first-ever dual-camera to upsell consumers on the more expensive Note. I have no doubt there are still many people loyal to the Note brand and its excellent stylus; the fact remains that there’s no other smartphone quite like it. Whether the new camera setup offers any clear benefits over the Galaxy S8 is something we’ll be testing soon enough. But the S8+ is often on sale for under $700, which is easier to swallow than the Note 8’s very premium price tag. If Samsung isn’t as aggressive about marking down the Note’s cost, there will be a wide price gulf between these two phones. And if that’s not enough, Samsung is about to face off against with a truly new iPhone, the Pixel 2 XL, and more. But the Note is back because Samsung believes there are still consumers who love it. Assuming the company can avoid unforeseen disaster with the Galaxy Note 8, it will have made a triumphant return from one of its most humbling failures.